It is a tradition in my family to have only vegetarian food on the first day of Lunar New Year. 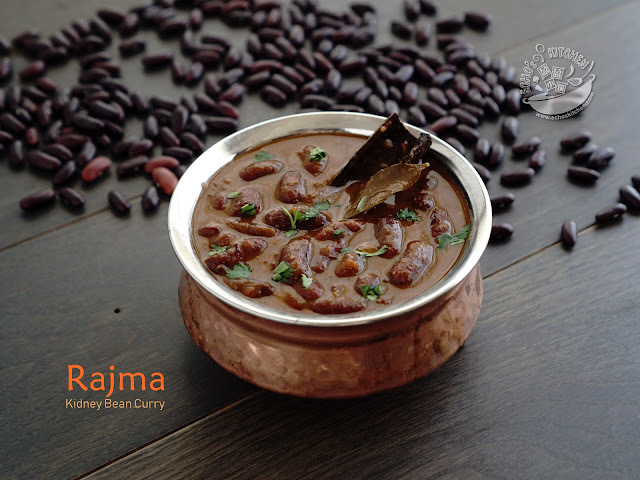 It was said that being vegetarian for this particular day will bring luck for the whole year. I had a feeling that it was just a nicer way to make us eat more vegetables after the feast on the New year eve. It is also mandatory in our family to have Chinese Cabbage (Thng Pek) for Chinese New year meal, as it symbolize longevity, the cabbage has to be prepared without cutting it crosswise, it has to retain its shape and to be eaten whole. 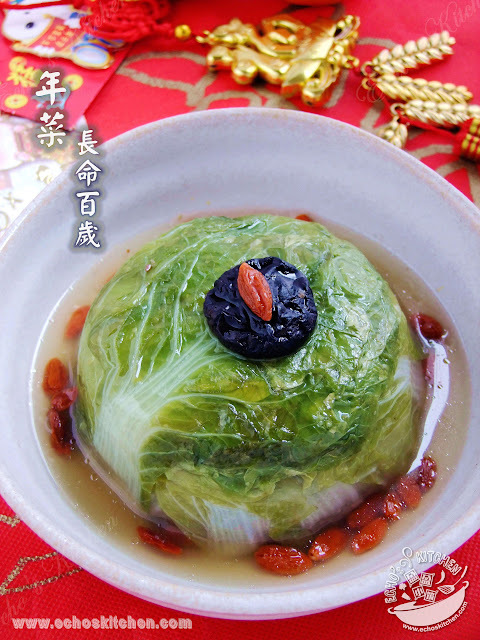 I made this vegetarian dish using whole cabbage leaves with some stewed gluten, it is very presentable and delicious. 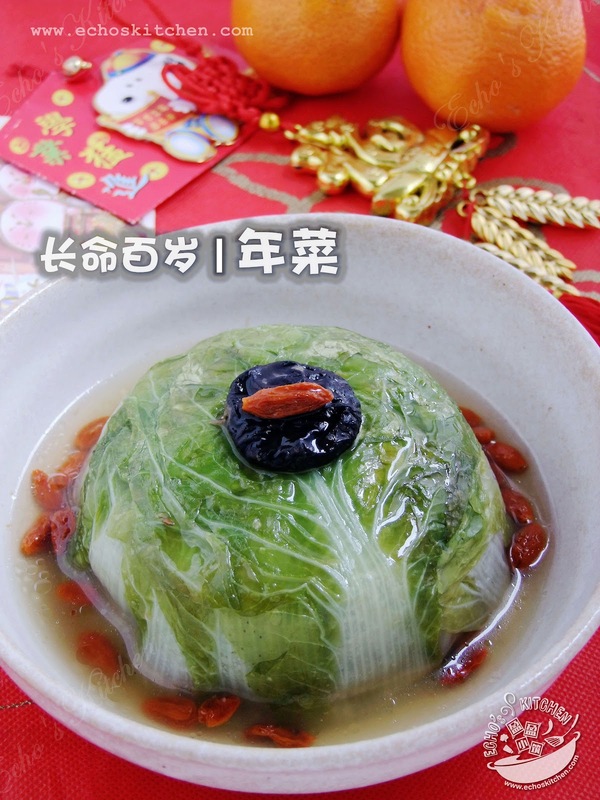 A good vegetable dish for Chinese New Year, and a good way to upkeep the family heritage! 1. Heat up 1 tbsp of oil and saute the mushrooms until fragrant , add gluten pieces and a glass of water, bring to boil and add all the seasonings, simmer for 15 minutes, keep it aside. 2. 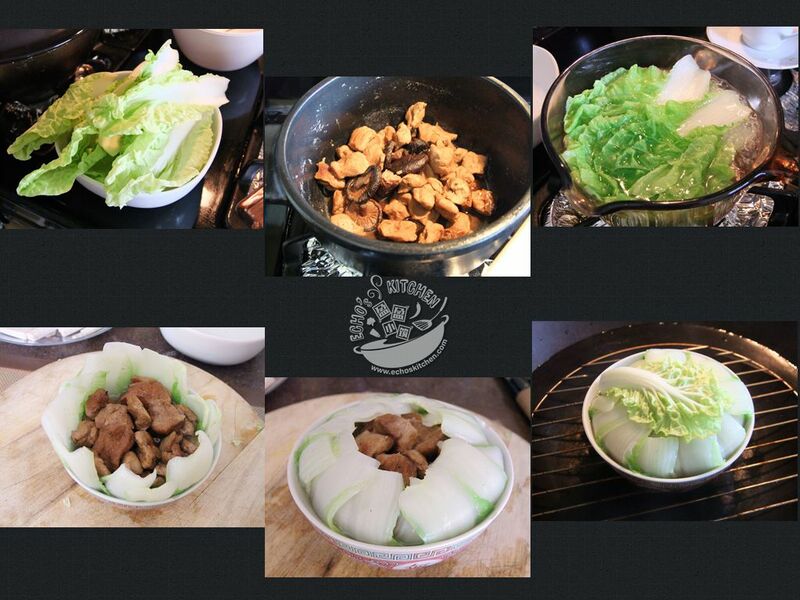 Clean and drain cabbage, bring a pot of water to boil, add a few drops of oil in it and blanch the cabbage until soft . 3. Place the cabbage around a bowl in circular shape with the green leaves at the bottom, place the cooked gluten and mushrooms on it, covered the gluten and mushroom with the stems. 4. Steam the bowl in a steamer for 20 minutes, flip the steamed vegetable onto a larger bowl. 5. Mix cornstarch and vegetable broth together and cook with wolfberries over stove until slightly thickened. Pour the mixture over the vegetables and serve hot.